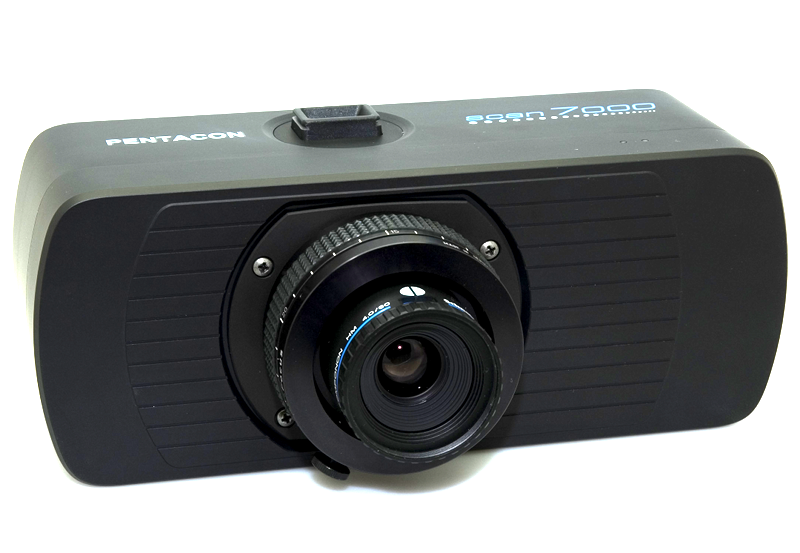 Right in time for presentation at the photokina 2010 Pentacon comes up with a new scanner camera – the Scan 7000. This camera features an impressive resolution of up to 20.000 x 20.000 pixels, and thus meets the highest standards, which are mainly required in the advertising and repro photography, in museums or engineering offices. For the customer can take full advantage of the new product’s technical qualities to work efficiently with a well-thought-out workflow, Pentacon has chosen to operate the Scan 7000 with the renowned scanner software from LaserSoft Imaging. The top level version, the SilverFast Archive Suite is included in every camera’s delivery. Read more about the photokina 2010 & SilverFast. Pentacon would be pleased to welcome you in Hall 3.1, stand B020. Vorrei conoscere maggiori informazioni sul nuovo scanner Pentagon 7ooo. Primo – Se le ottiche sono intercambiabili,se volendo può essere intefacciato al dorso di una macchina fotografica grande formato.